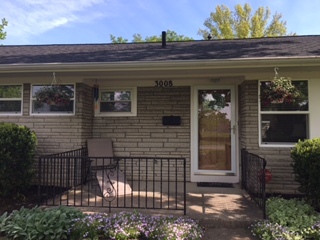 In January, my goal was to focus on organization and fixer upper projects on the inside of our house. 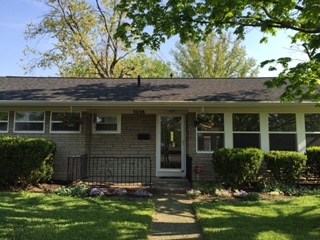 My May goal compliments that with outdoor projects, such as yard work, gardening, and organizing our garage. 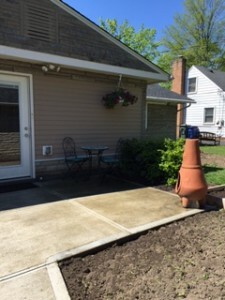 This week I began my May goal by focusing on our back porch area. 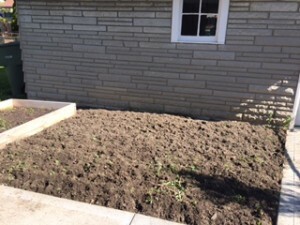 May 1st: Christina and I decided that we are going to garden together this year. We will use both of our gardening spaces, plant together, and then share in the rewards the garden has to offer. 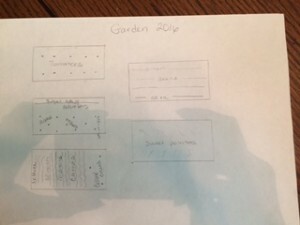 Christina shared her garden plans with me and I plan on using my garden bed for the things we buy the most of from week to week at the grocery, such as garlic and onions. 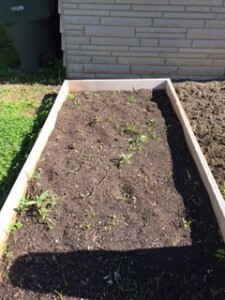 I might also add some greens for summer salads and I might even add a second garden bed this year. 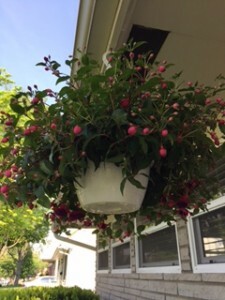 May 2nd: Ever since we bought our house, one of my favorite spring activities is to purchase hanging plants for around the exterior of the house to add a little color. I headed over to Flowerama in the Reynoldsburg/Whitehall area and lucky for me, the delivery truck was unloading the hanging plants when I arrived. There’s nothing better than getting “first dibs” on these beautiful flowers! 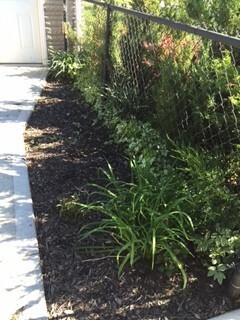 With all of the green our yard has to offer, it’s nice to add some pops of color! 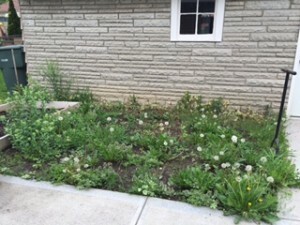 May 3rd-5th: Our backyard is starting to look like a forest full of weeds, so I’ve spent the last couple of days weeding the area between the back porch and our garage. I pulled all of the weeds and then used a tool to pull up all of the roots in hopes that the weeds stop growing all together. I’m thinking about adding a second raised garden bed in this area. 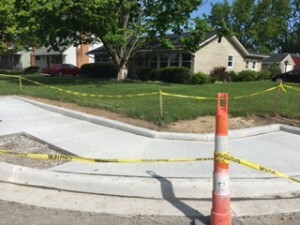 May 8th: The city of Columbus has finally decided to bring our neighborhood up to code and added wheelchair accessible sidewalks. We started researching companies to get estimates for new driveways and sidewalks, so our lot is completely new and up-to-date. More to come on that project later! May 9th: It rained all day, so Laura and I took Audrey to the Franklin Park Conservatory for her 5th birthday. The conservatory offered a lot of wonderful inspiration for the possibilities in our own yard! The butterflies were beautiful and friendly too. May 10th: I didn’t have a ton of time today so I swept off our front porch. 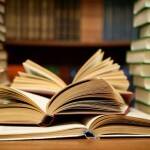 I’m looking forward to better weather and enjoying a good book on the porch very soon!